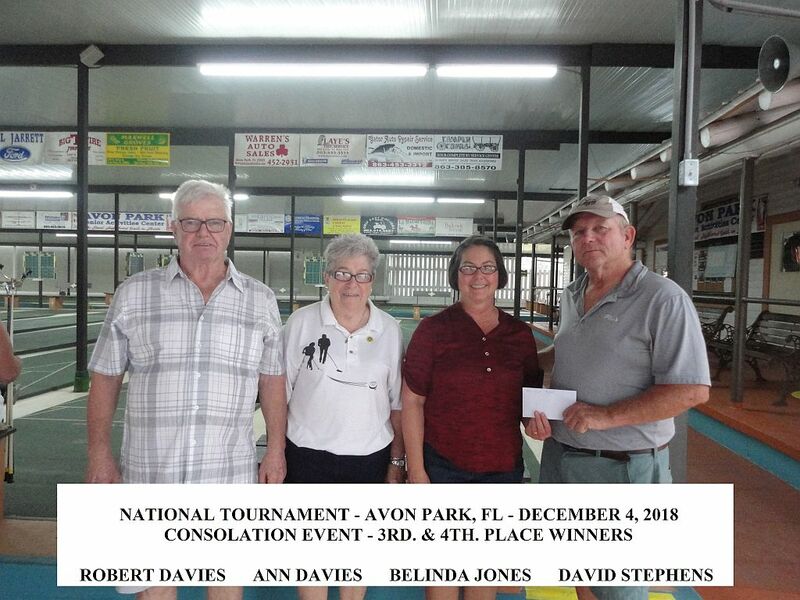 We at Avon Park were delighted to host the 15th. 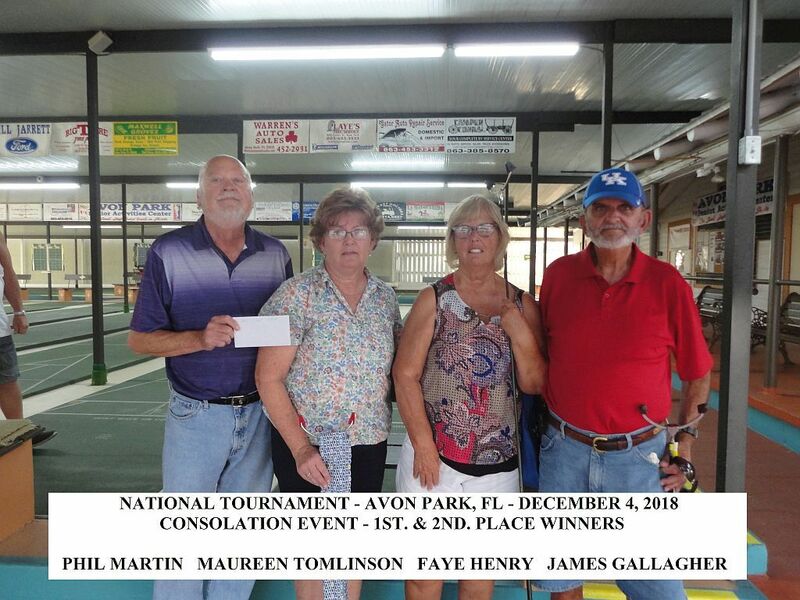 Annual Juanita Harlow National Mixed Doubles Tournament on December 3rd. & 4th. 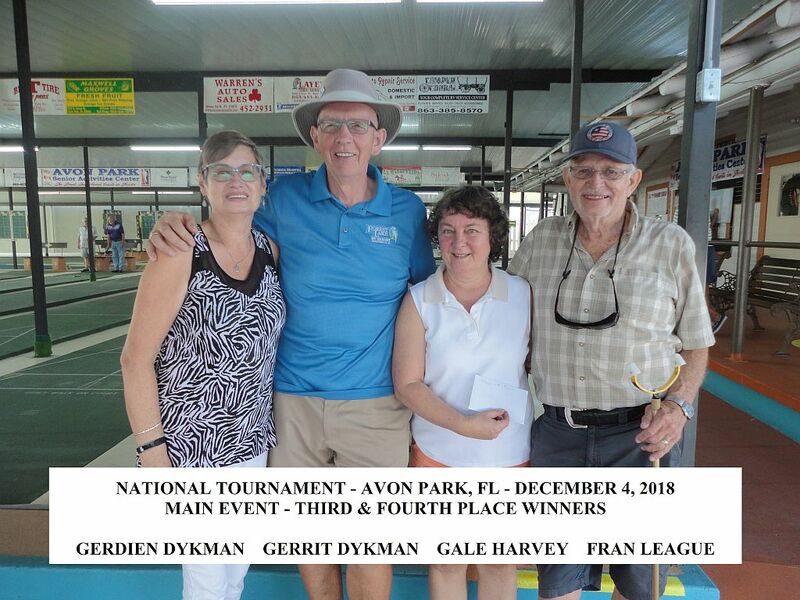 We saw 34 eager and enthusiastic participants ready & willing to do battle for that coveted National Gold Medal Pin. 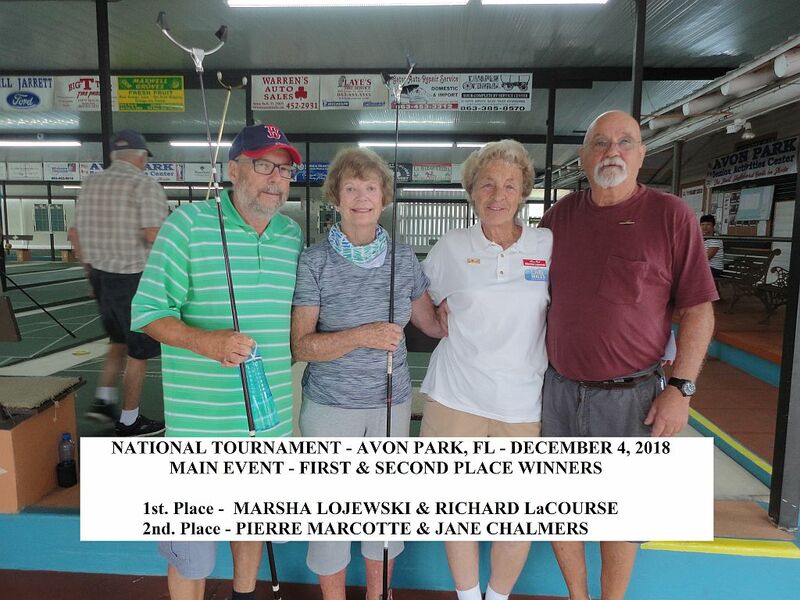 Marsha Lojewski and Richard LaCourse fought their way into the Finals of the Main event to face Jane Chalmers and Pierre Marcotte. We got to see all the drama that we could wish for! It went right down to the wire in the 3rd. game before Marsha and Richard finally put the match away! It took a couple minutes for Marsha & Richard to realize what they had done! Marsha fought back tears of joy and Richard tried as hard as he could to maintain his composure. We heard, “I wanted this so much!”, “I didn’t think we could do it!”, and “We did it!” as the reality set in on them. Sorry if you missed out on this one, but we’ll be right here for you next year! This entry was posted in FSA (All Districts), USA NSA. Bookmark the permalink.